19 year old Maddy Pierce’s alarm goes off at 4:50 on winter weekend mornings. She’s at Copper Mountain by 6am, where she checks in with the night crew, swaps radios and then heads up the mountain on a snowmobile. 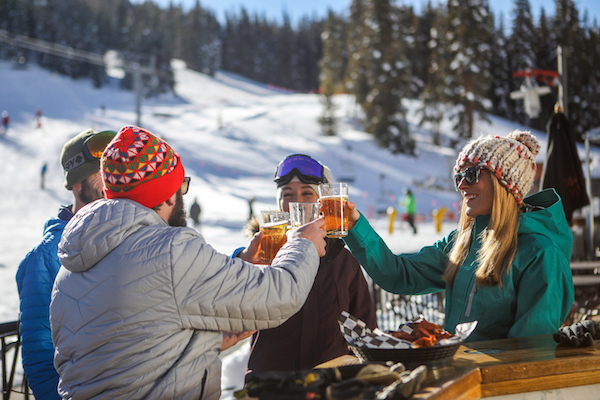 With a great early-season snowfall just one month in (more than 100 inches, total, so far), both skiers and snowboarders are already flocking to Copper Mountain to start lapping their favorite chairs. If you’re getting the itch to hit your favorite runs, it is crucial to ensure you are in-shape enough to gear up and strap in for the ride, first. Not sure which of your parts could use a little tuning? We’ve done the legwork – and more – for you. We sat down with Jon Mauch, Senior Sales Manager and spokesperson for Leitner-Poma, and asked him some of your questions. We hope you're finding chairlifts as fascinating as we do! The American Flyer is anticipated to open by Christmas. In the wake of allowing uphill access to trails at ski resorts, Copper Mountain has followed suit. This move lets people ski or snowshoe uphill, meaning they can access the mountain in different way. Copper Mountain’s Uphill Access gives skiers an “opportunity to see and experience the resort in a unique manner,” says Shauna Bocksch, Mountain Safety Patrol Supervisor at Copper Mountain Resort. Like most of you, I’ve counted on my body to propel, or at least roll, me out of bed in the mornings and move me through my busy days. Physical activity has always been a given for me and I’m like a puppy who needs to get outside and “play in the yard” on the daily. I just assumed I’d always be able to pursue any activity, sport or movement I wanted, and that my body would automatically cooperate, like a faithful, fit golden retriever. The American Eagle is NOW OPEN! Read more about The American Eagle is NOW OPEN! We're so excited to announce that the American Eagle is now open. This combination lift of eight-person gondola cabins and six-person chairs follows the same footprint as the former American Eagle providing access to intermediate and advanced terrain out of Center Village. There will be two separate load lines - one for gondola cabins and one for chairs. Park City, UT – Nov. 16, 2018 – POWDR today announced the appointment of Dustin Lyman as president and general manager of Copper Mountain Resort where he will oversee all ski area operations effective immediately.